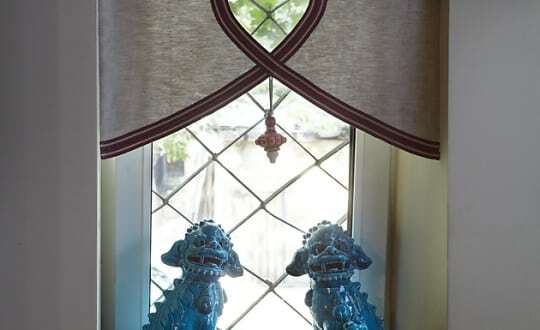 Another window with two Chinese dogs. This is the symbol of the family guards. To the left is the Father with his paw on the World globe; to the right is the Mother with their baby according to Feng Shui they symbolize the Wealth, Prosperity and Guard.